Now that winter is upon us many people are off to warmer climates, my area is not very hospitable in winter! Recently on a sunny cold day I headed out for a walk and even though all the recent snow had melted the ground was very icy. Being a Canadian I actually like the snow, its the ice that causes havoc, its so easy to slip. To avoid all the slipping and sliding people are off to warm destinations like Hawaii and the Caribbean. Hawaii is a new comer to the tea industry. Tea was planted there in the 1800’s but never got established, sugarcane and pineapple proved to be more profitable. There was little tea activity on Hawaii until the 1980’s when a new generation of farmers decided to give tea growing a go. With the help of the government some thirty years later tea is thriving in Hawaii. There are now over two dozen tea farms producing high quality, Hawaiian grown teas! My neighbours recently travelled to Hawaii and I took care the their cats, in return they gave me some lovely Hawaiian teas from the The Hawaiian Tea Company. Its very nice tea! The big bag has Hawaiian Breakfast tea, Maui Passion and Island fruit. What a pleasure it is to try teas from this region, I think they taste great with a fruit flavour and a honey-like finish. Very refreshing! The Caribbean is not the first place one thinks of when it comes to buying tea so it was a nice surprise when my friend Samantha brought some back from her vacation. 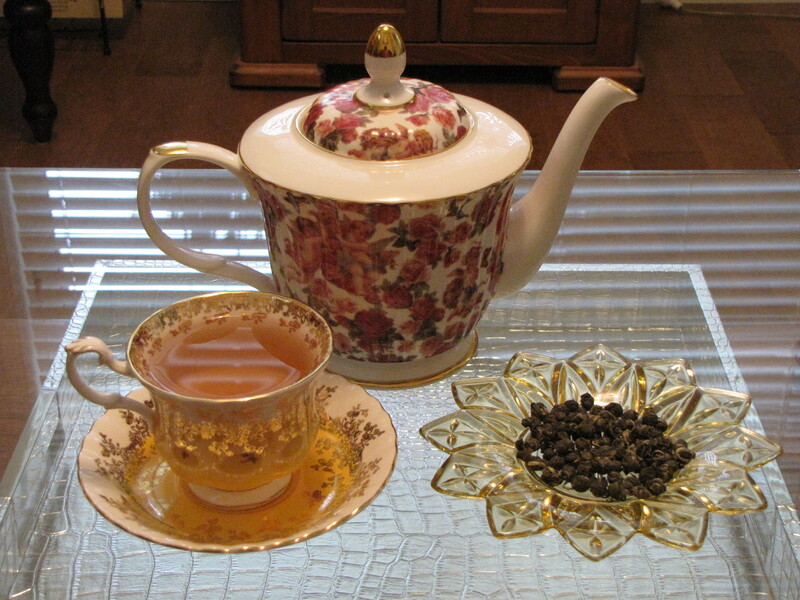 It is a wonderful blueberry rooibos from the island of St. John. St. John in part of the US Virgin Islands and home to the St. John Spice Company. I brewed it right away and it had a distinct blueberry smell with a light fruit flavour. If I can’t physically go to the Caribbean or Hawaii I can escape there through my lovely tea gifts! Milk or Tea first into the cup? 1st) moo is for milk. In the old days people got their milk directly from the cow and when they made tea, if they added the fresh cow’s milk second, if would glom ( is that a word?) and rise to the top and float in the cup. To solve this people put the milk in first then added the hot tea, this caused a chemical reaction and the milk mixed with the tea. In my opinion when ever I add milk first, and I don’t often add milk to tea, but when I do I always seem to add too much and the cup of tea is ruined so I prefer to add it after so I can regulate it, some teas need a lot less milk than others. 2nd) what are you drinking the tea out of? 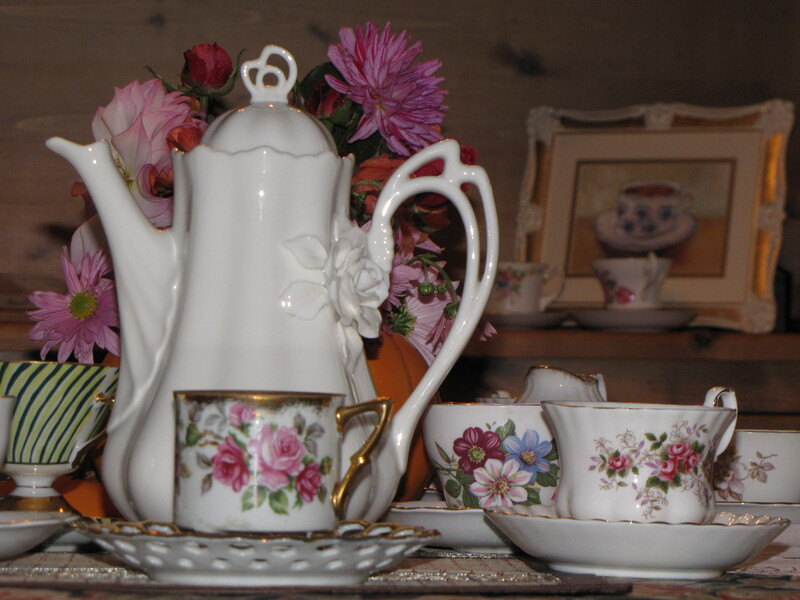 There are different forms of porcelain, stoneware, bone china and ceramics to drink out of. If you don not know exactly what your cup is made from the by all means put the milk in first. This will lessen the chance of the very hot tea cracking and even breaking the cup. 3rd) What kind of tea are you drinking? Tea bag tea is blended specifically to take milk as this is the most popular way in the world to drink tea, so It is personal preference as to milk or tea first. If a person is drinking a fine, loose leaf tea them please don’t ruin it by adding milk! Fine tea needs no milk or sugar for that matter. There goes all my cream and sugar sets off to the second-hand store! 4th) It’s a class thing. Back in the day when people were able to start buying fine china to serve tea in it was low-class to add the milk first. This showed the china was not of good quality and milk was needed to protect it from breaking. In an upper class household ladies who poured tea then added the milk were greeted with ooo’s and ahhh’s as they demonstrated the superior quality of their china by bolding pouring hot tea into it. One last thing to note on the whole milk first or second debate is science has proven that china cups that have tea poured into them with no milk or milk added second will, over time, stain. If you have a particularly special cup then to stop it from staining add a bit of milk first to keep the cup clean and shiny! Ok this debate will never be solved! Just enjoy your tea and remember……. I have to admit I am not overly fond of roses in tea, in the past I always found the taste and aroma way too perfume-like. 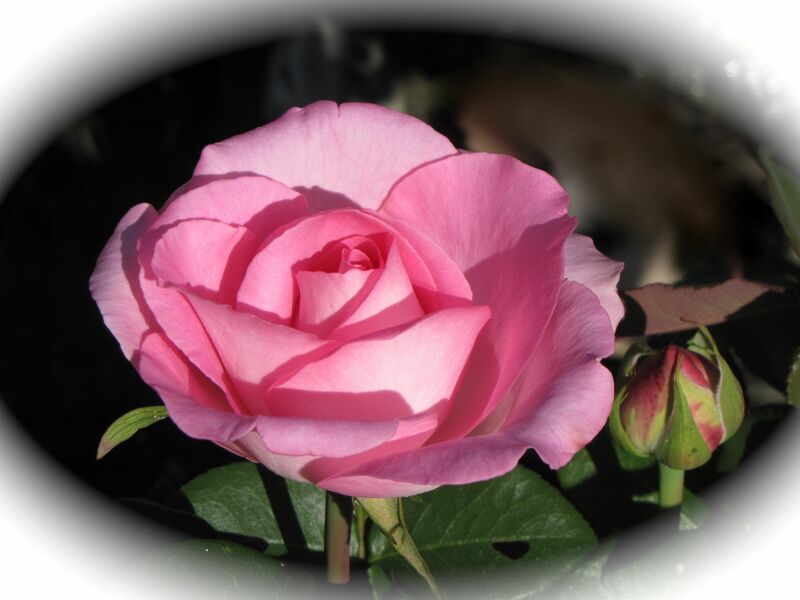 As time went by and I tried more and more teas I soon discovered my dislike for roses in tea was because of the artificial aditives in poor quality tea. Seeking out teas with natural flavouring I discovered one of the nicest rose infused teas is Rose Congou. Congou is from the same word as Kung Fu and they both relate to doing something well and being the best. Rose Congou with organic roses is a perfect example of tea blend with the best quality ingredients for a taste that is smooth as a new rose petal and a scent that reminds one of a rose garden in the summer. As I drink Rose Cogou tea I breath in its aroma as it smells divine! It’s a shame when I hear that someone dislikes tea! They say they were raised on tea bag tea and now have no desire to drink tea, that’s sad because they are missing out on lovely teas like Jasmine Pearl. This is a tea for anyone to try who is not a tea lover just to see and taste what they are missing. When the jasmine blossoms open at night they are picked and layered between the tea leaves, the tea leaves then take on their delicate scent. It looks beautiful, smells intoxicating and tastes smooth and sweet. Jasmine Pearl tea is one of the finest teas available; it looks like a small black pearl before it is steeped and after it unfurls like magic into a full leaf! Each leaf is hand-rolled so the tea really takes on an artistic quality. It’s definitely not Grandma’s tea bag tea…its exquisite! 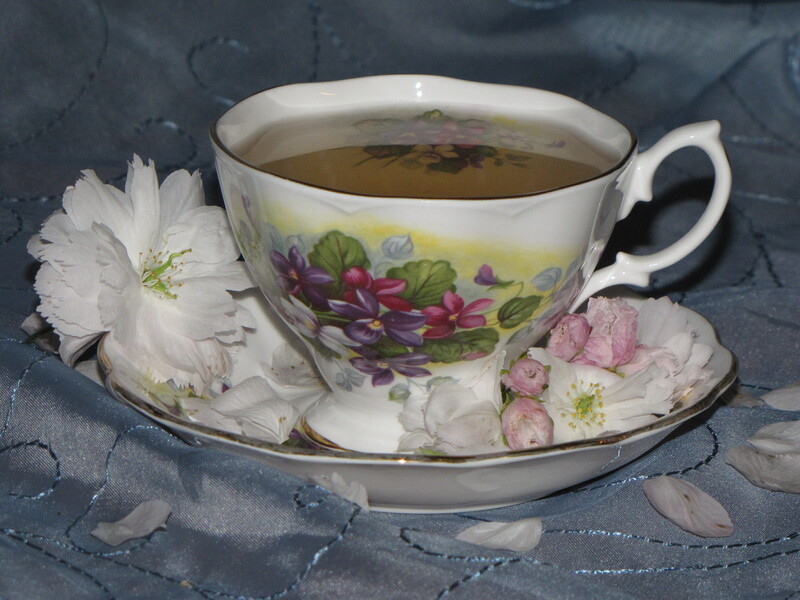 White Cherry Tea…lovely and delicious! 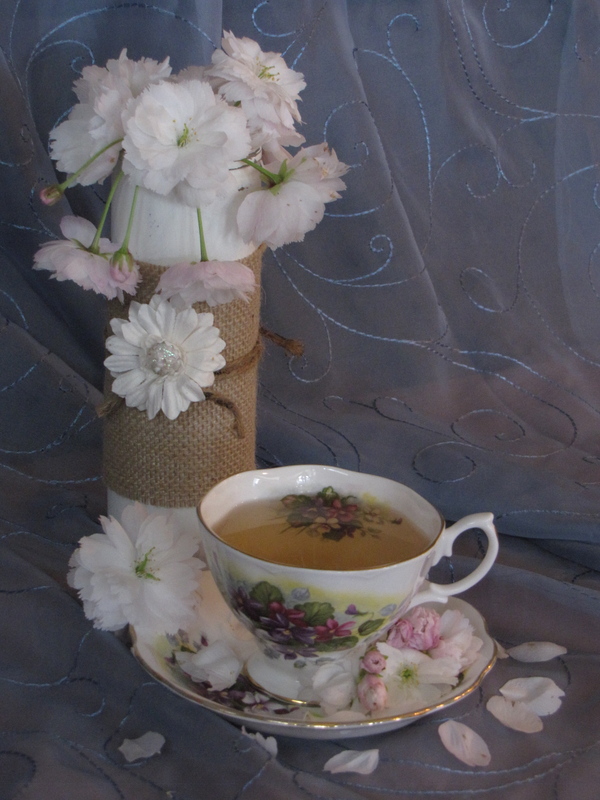 With the Vancouver Cherry Blossom Festival around the corner and the trees in bloom all over the area, I thought it was quite fitting to have some wonderful White Cherry tea. 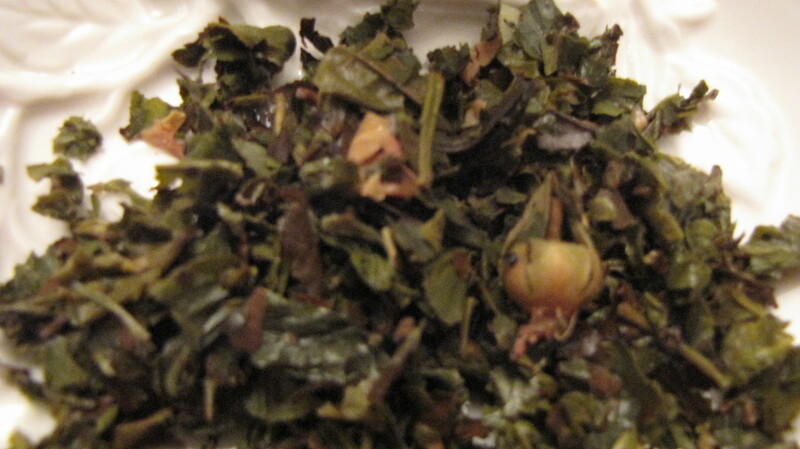 This tea, from Aromatica, is the first place finisher at the 2011 North American Tea Championships. It’s a base of Pai Mu Tan (white tea), blended with Darjeeling green, China Fog, Lung Ching, Jasmine Jade Pearls,cherries, coconut and rose petals. The appearance of the dried or wet leaf is really pretty, the taste is enhanced by the tart cherries and the sweetness of the coconuts. This tea is divine! Rooibos is made from the plant Aspalanthus linearis, a member of the legume family. It has been consumed as a tea-type drink in South Africa for over 300 years. The plant only grows in Cederberg, a small mountainous area in the Western Cape province of South Africa. It’s a wonderful drink that can be served hot or cold, its full of good-for-you properties one of the best is the antioxidant quercetin that helps stop the damage done by free radicals in the body, it is also caffeine-free so anyone can drink it. Red Bush tea as its also known as is calorie free, anti-aging, full of minerals, it promotes circulation and supports the body’s ability to absorb iron. Whats not to love, it turns a bright red colour when brewed, its sweet to the taste so no need for milk or sugar. It comes in an endless assortment of flavours because it takes to blending so well. One of the choices I have is the birthday blend and I kid you not it smells like cake and there are even sprinkles added for fun! 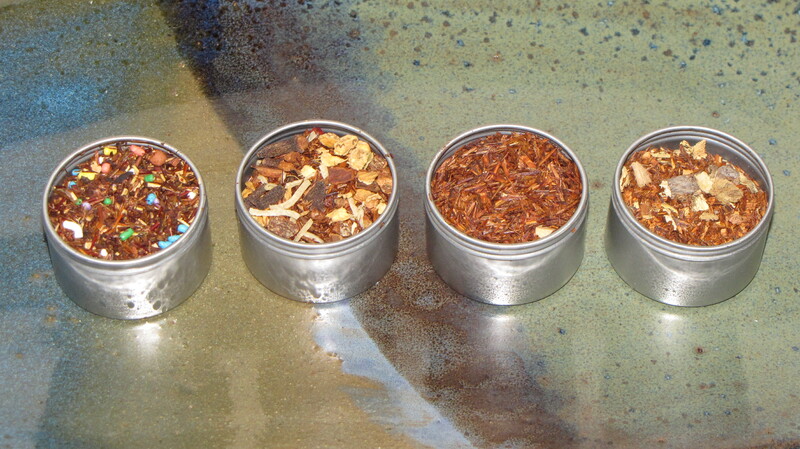 The ones below in order from left to right are birthday blend, coconut blend, chai spice blend and liquorice blend. I decided to brew the chai blend and the spicy flavour really came out. Technically speaking rooibos is not a true tea because it does not contain the tea plant Camellia sinensis, but its easier to call it a tea than to say the drink made from the red bush plant. My niece was at a craft fair where she purchased some tea to give to me as a surprise. 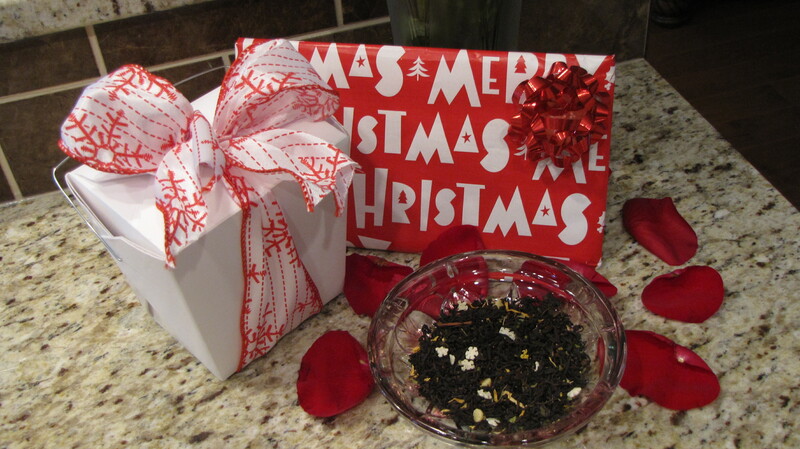 When she came over she presented me with this lovely wrapped box and inside was a small bag of snowflake tea. 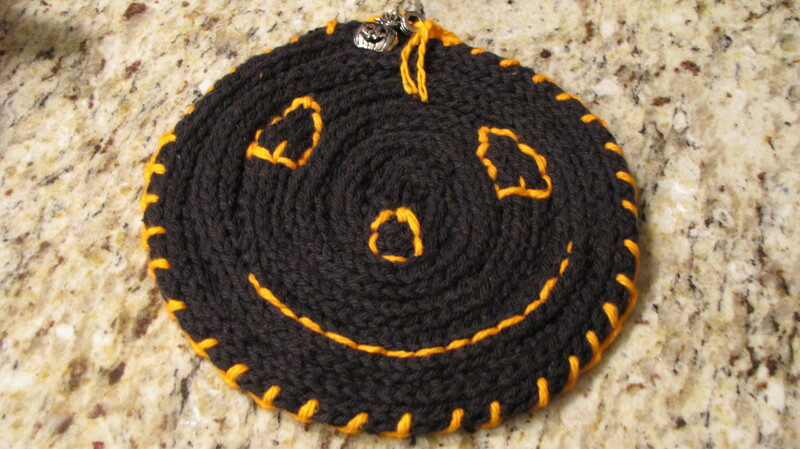 It was from a store in her area named T’s who had set up a booth at the fair. 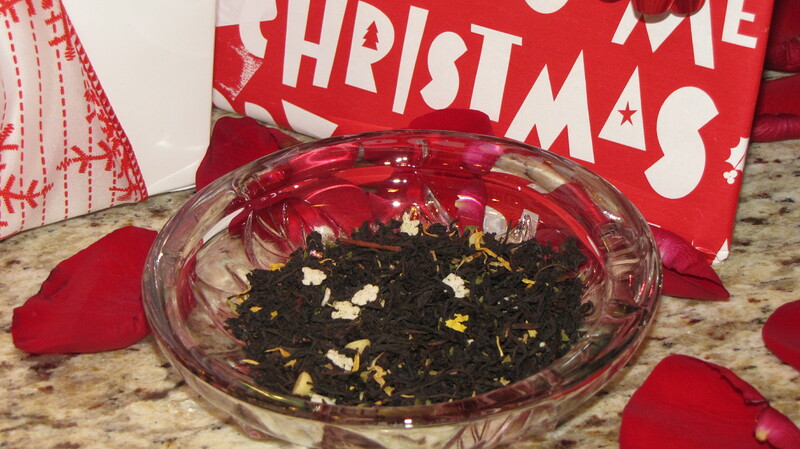 It’s a black tea with chocolate pieces, flower petals, vanilla and peppermint leaves. When I brewed a pot it smelt really good, like a candycane and the taste was sweet but really nice. 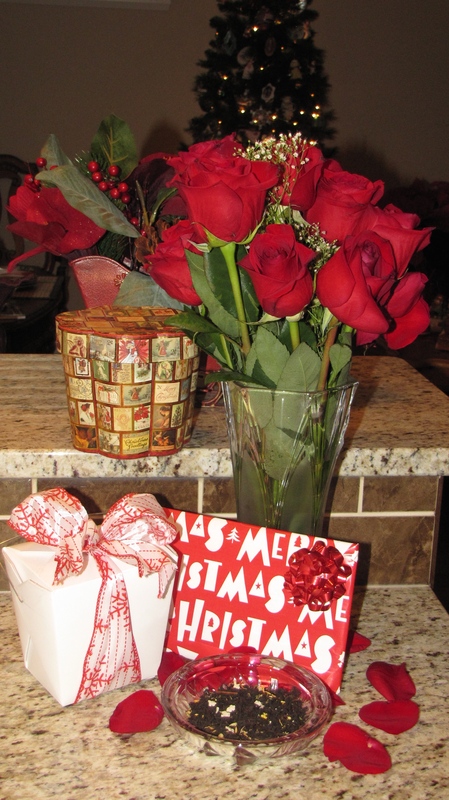 After our tea we went over to the store to purchase some food for the weekend and the clerk gave us a bouquet of roses! Apparently they were no longer fresh enough to sell so lucky for us we took them home. Being a rose gardener my husband would never buy me roses as mine are way nicer than the store-bought ones but getting a free bouquet in winter was a nice surprise! Fall is by far my favourite season; the days are still warm but come evening there is a nice, fresh nip in the air. This is also the time of year I like to enjoy a hot cup of tea on the front porch, even on a cool evening its nice to sit out there and watch the summer wind down. I like masala spiced tea anytime but it seems particularity comforting in the fall. 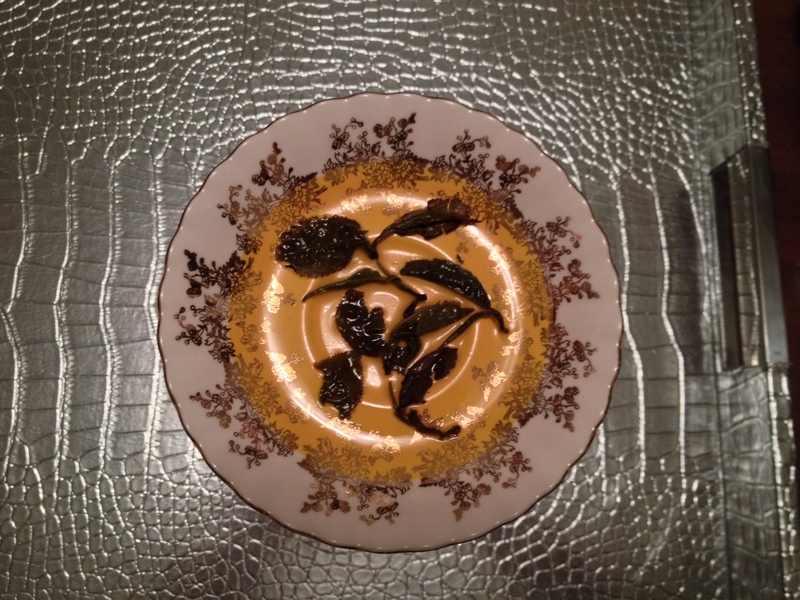 I think the spices remind me of the fall harvest, pumpkin pie anyone? 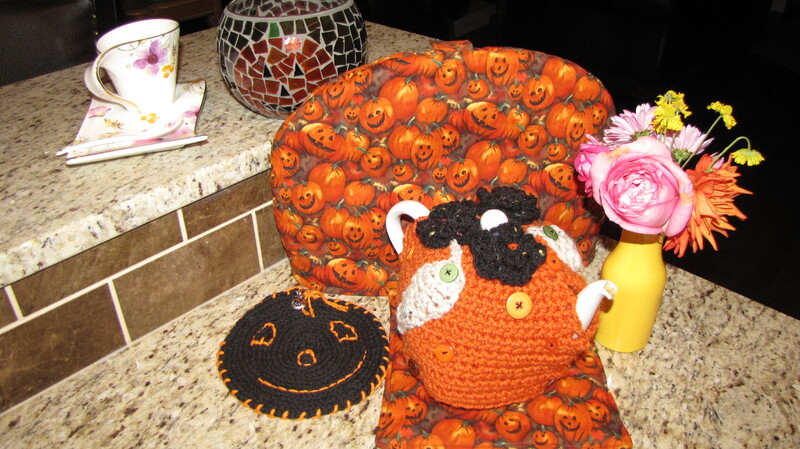 Recently I was given a wonderfully fragrant pumpkin spiced tea, to enhance it I added more spices! Masala is a spice mix (karha), originating in India and it consists of warm spices like cardamon, cinnamon, cloves, nutmeg, aniseed and pepper. The tea used should be black, like an Assam, this is a strong tea whose flavour won’t be overpowered by the spices. Assam is a tea growing region in Northern India where tea has been growing wild since the dawn of time. Chai is the Indian word for tea, chai is not a spice. Legend has it the tea was developed by a king looking to make a healthy remedy based on ancient ‘ayurveda’ teachings. Chai spiced tea is often served after yoga as an added component to overall health and wellbeing. In India, the birthplace of yoga, there are ‘Chai-Wallah’s’, young men whose job it is to serve tea. In the movie “Slum Dog Millionaire” the main character was a chai-wallah at a call centre! In eastern India chai tea is served in clay cups that enhance the nice, earthy flavour found in the tea. Afterwards the cups are smashed on the ground! In southern India the tea is poured between tow glasses until it develops a thick, frothy texture. There is no set recipe to make chai spiced tea, so when I make it I boil the spices on the stove first to release their components into the water, it makes the house smell wonderful! Then, in a teapot I put about 1 tablespoon of black tea in a diffuser and fill the kettle with off-boiling water, about 1/2 full then I pour in the spices, steep for about 3 minutes and remove the tea. Its a guilty pleasure of mine to add real cream and brown sugar, delicious, then I take my cup outside to watch the leaves fall. Burma (Myanmar) tea is primarily produced for the country’s domestic market with a small amount being exported to the Yunnan Province in China. When a friend was travelling back to his homeland of Burma I asked for him if he could bring me back some tea as I knew it was not available in Canada. A few months later I was given tea from the Shan Province of the country, the Shan Province borders China, Laos and Thailand. The tea is fragrant and the dried leaves are large. 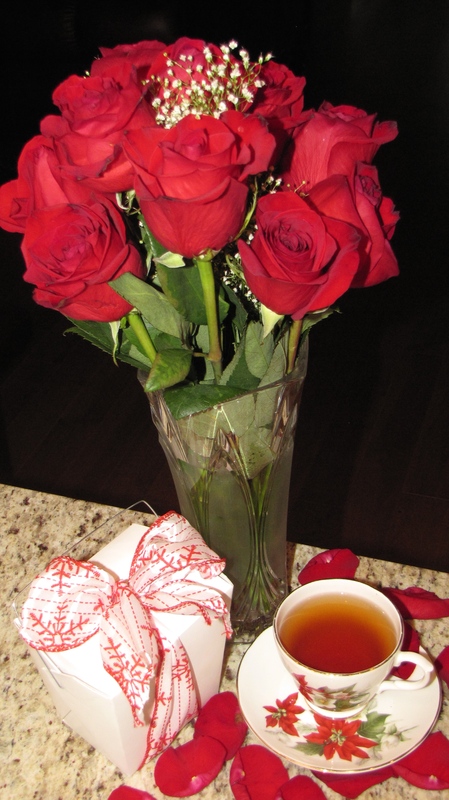 I was excited to try the tea and to my surprise the infusion was amazing, its spicy in the beginning finishing sweet. The infused leaf is whole with only an few broken pieces. I feel truly lucky to be able to try this rare treat! 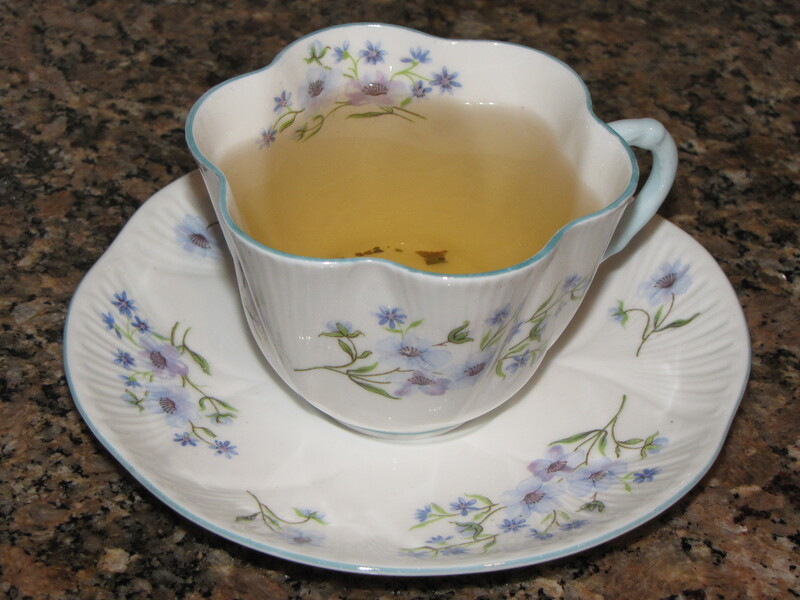 White tea is very exquisite because it comes from the young, new shoots of the tea plant. The fragile, new buds are covered in fine, silvery hairs and once the new buds and sometimes baby tea leaves are hand-picked they are dried in the sun or in a warm drying room and they undergo no further processing. When brewing white tea use a low water temperature, I like to boil the water and then let it sit until it cools to about 76 degrees C (170 degrees F), too hot of water is hard on the delicate leaves, they scorch easily. I also use a small teapot and I let the leaves float freely, the leaves are large so they don’t come out the spout, by infusing the leaves freely they “dance” vertically in the hot water. 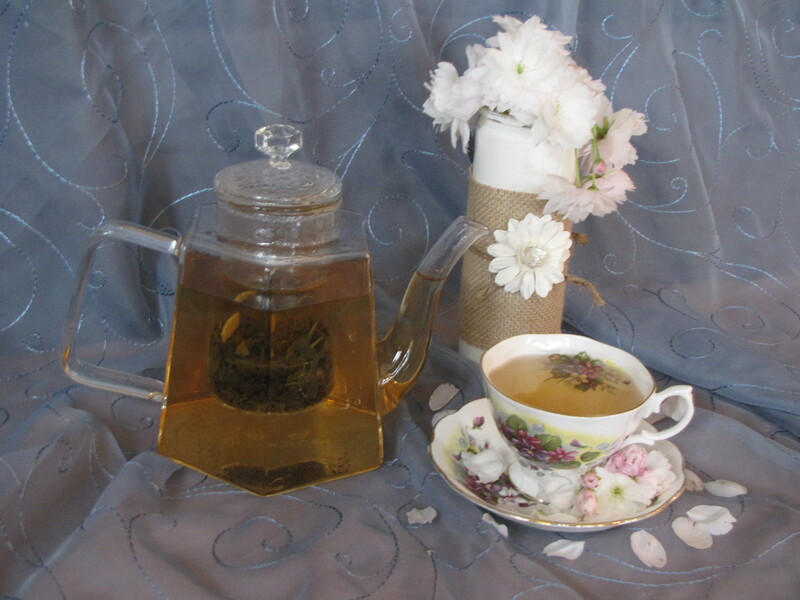 White tea can be infused for about 2 minutes then add more water and infuse the leaves for several infusions. The Fijian province of China grows the world’s finest white teas, with some of them only picked for a few days each spring. There are two classifications of white tea: Bai Hao Yin Zhen (only the buds), also called Silver Needle and Bai Mu Dan (two baby leaves and a bud), also called White Peony. The Darjeeling region of India is also producing a Darjeeling White Tea that is slightly richer in flavour than the Chinese Whites. 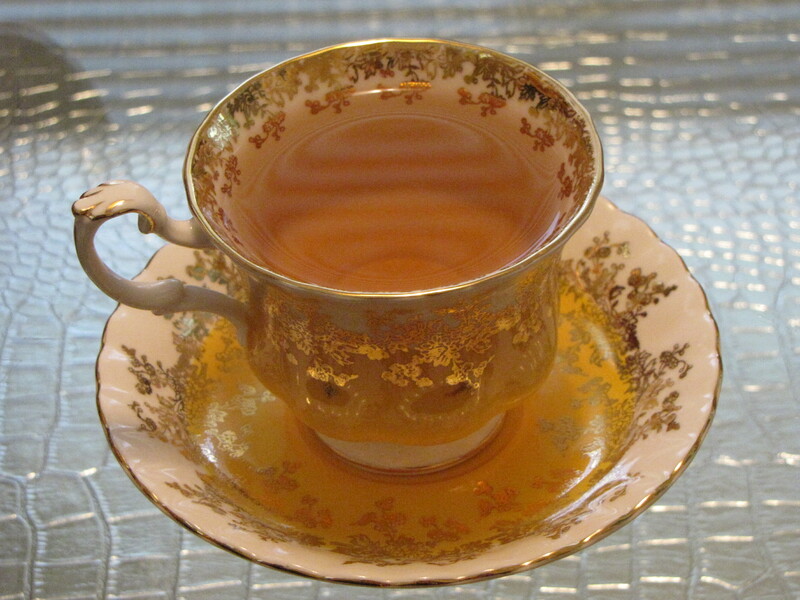 The liquor of white tea is Champagne coloured, fresh sometimes with a hint of peach, pear or nuttiness. Very smooth and velvet-like, a real treat to be savored! Truly elegant in an antique Shelley Tea Cup. Oolong is one of the most enjoyed and popular teas but what exactly is an oolong tea anyways? Oolong, like all teas, comes from the ‘Camellia sinensis’ tea bush and it falls between a green and black tea depending on the method in which the tea leaves are processed. The production of oolong tea requires time-honoured traditions and skillful craftsmanship, it is known as semi-oxidized tea and its the length of the oxidation process that sets a green oolong apart from a black. The oxidation can be from as low as 20% moisture removed (green oolong) up to 80% (black oolong), so its a very difficult tea to manufacture consistently. The method for a for a darker open-leafed oolong is after the tea is picked (3 leaves and a bud) the leaves are withered in the sun for a determined amount of time and then indoors on bamboo baskets, this withering process allows for some of the water in the leaf to evaporate and start the oxidation process. Every two hours the leaves are ‘rattled’, turned and shaken to break the cellular membranes and the outer walls of the leaf, this allows the tea’s special antioxidant qualities to be released into the leaf. When the oxidation reaches the desired level the tea leaves are fired in a hot panning machine and then fully dried in hot ovens to halt the oxidation process. Only a very experienced tea maker knows exactly when to halt oxidation. Another method starts with the withering and turning, but when the leaves reach 30% oxidation the leaves are put through a hot panning machine for 5 to 10 minutes to stop any further oxidation then dried and allowed to rest overnight. The next day they are put in a cloth sacks and formed into 9 kg balls, the balls of tea are put through a special rolling machine to bruise and squeeze the leaves inside. The sacks are then opened and the compact leaves are separated and then wrapped back up. This process of wrapping and unrolling is repeated at least 36 times sometimes up to 60 times until the tea leaves are formed into the little balls that are recognizable as oolong tea. There are about 9000 different oolong teas making it biggest and most diverse tea category, it’s also very healthy and full of disease fighting polyphenols that are released from the leaf cell’s structure during manufacturing. Some famous oolong teas are ‘Phoenix Supreme’, ‘Qing Xiang Dan Cong’, and probably the most famous oolong ‘Ti Kuan Yin’ ( The Iron Goddess of Mercy). On January 30th I start my 3rd tea Class called “The Business of Tea”, I need 8 courses completed and then I can apply to write the exam to become a Tea Sommelier! My plans once I get my certification is to work in a tea shop and share my knowledge with the customers, that’s a ways off yet! 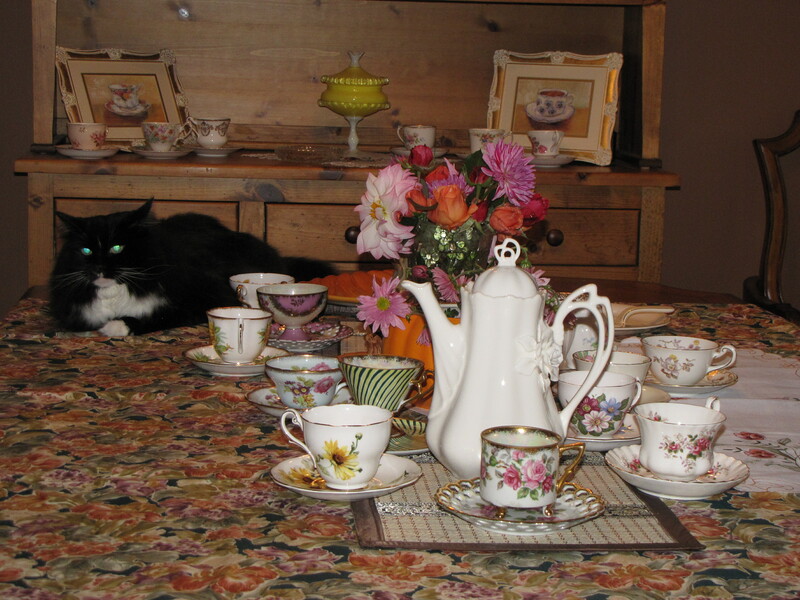 In the mean time I will continue to hold Tea Parties at my house and taste as much loose-leaf tea as possible! Heather, enjoying your blog. Wish I lived close enough to come to your tea parties while you’re getting your Tea Sommelier certification. Regarding Pu-erh, I have some “young” pu-erh. It is very earthy tasting. I find I need to rinse it once, and then make a pot. Does one have to rinse the aged pu-erh? If i saved my pu-erh for 15 or 20 years, would it reach the full flavor? 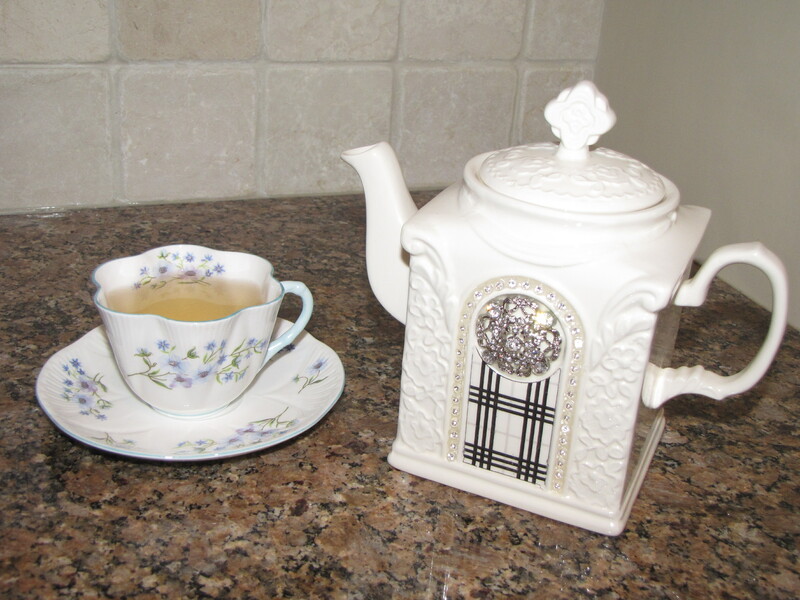 I decided today I am going to have a Spring Tea Party at my house sometime around the beginning of April! If you have some aged pu-erh I don’t think you need to rinse it. In order for your young tea to “age” you will need to keep it out of direct light in a good quality tea canister. Yes, the longer its left the more it ages. t has a decidedly muddy taste until I rinse it. Might be worth stashing away for some years. It is good to drink once rinsed, but I don’t love it like I love some of my other teas. I have newly purchased “tins” (never used) for storing tea. What qualifies as a good quality tea canister? 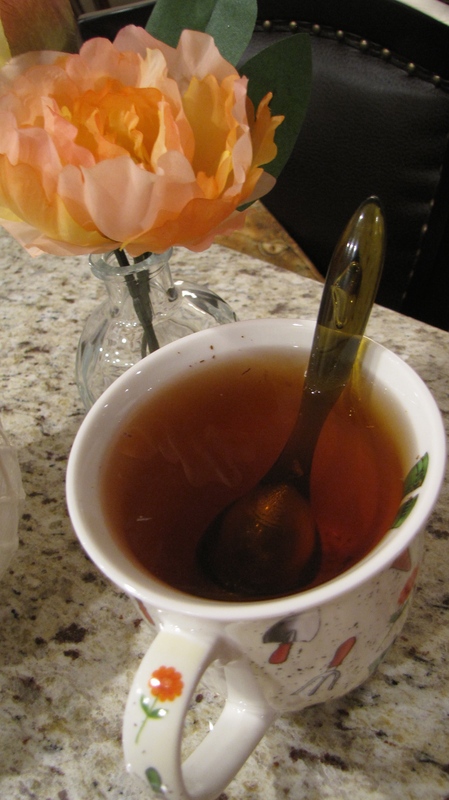 Lovely posts and so interesting to read the facts about rooibos tea. A propos tea – I loved your enlightening comments re: the origins of the “cream/milk first” or not conundrum. Such fun to hear the “posh” theory re: the quality of the ceramics and the cream from the cow creating what I was brought up to call “bingy” results if added first to bottom of cup. I guess we were “pinkie-ups” since we added cream last! This was the French way vs. British, I think. Speaking of being French; for me, my “desert island” tea has to be the “Marco Polo” black tea blend with bits of fruit and floral petals. It is truly sublime! Mariage Freres, the company that makes it, is a venerable company with its original location in the Marais. The elegant black & gold tins are keepers, there is a charming cafe at the back of the shop where the offerings -sweet or savory- are all created with infusions of their many blends, the gentlemen who serve in the shop are attired as though they have stepped off the set of Downton Abbey, and there is a gem of a tiny “Museum of Tea” up a secret flight of stairs. Mariage Freres is just wonderful. 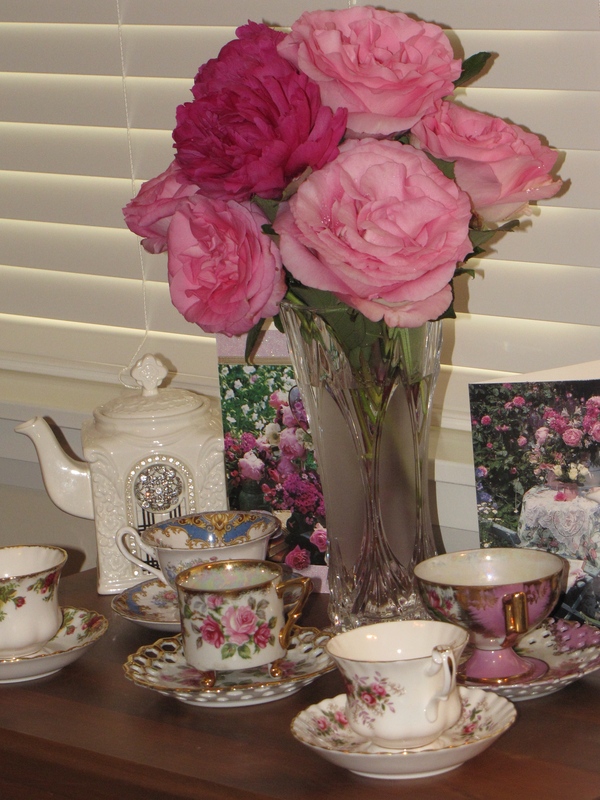 I thought I’d share it with you as a thank-you for the lovely discovery of your blog – tea and roses – two of my favourite things. 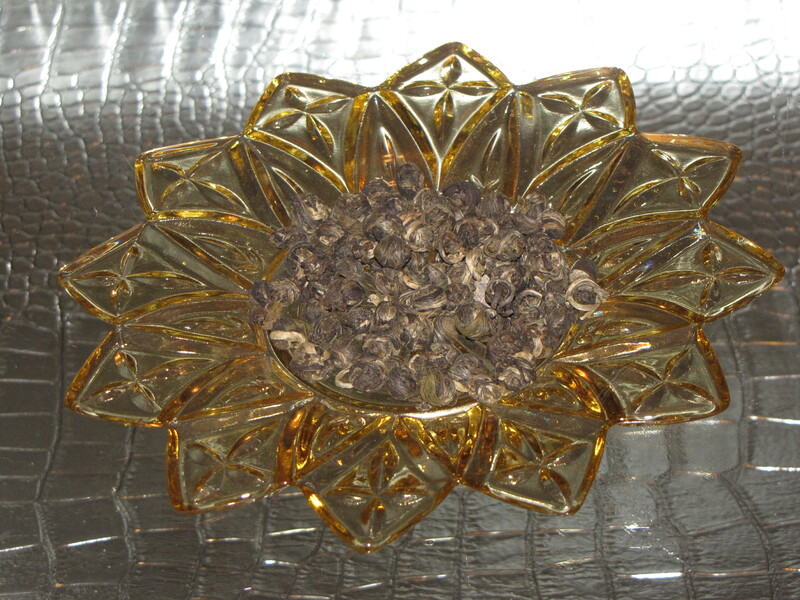 And, rose pouchong….ah, I love that one; exquisite to sniff & quaff. Thank you for the delightful information about the shop Mariage Freres, it sounds wonderfully French, I would love to visit it some day. Thank you for your kind comments, visit again anytime!